The more than 300 golf courses and resorts that golfing enthusiasts can enjoy, make from Spain the first Golf Holidays destination in the world. Within Spain, more than 80 of the best world-class golfcourses are located along the fabulous Andalusian coastline in the Costa del Sol and it’s easy to see why: it’s excellent connections from the majority of Europe airports, it's all year long warm and sunny climate, the fabulous Spanish cuisine, first class hotels, naturals surroundings towards the mountains and the ocean, together with and admirable history and culture that turns the Costa del Sol into the perfect golfing getaway. Start your day somewhere extraordinary to fully enjoy a premium golf vacation in Marbella. Set on the Marbella beach, this oceanfront rental is perfect for a sun-kissed destination wedding or family holiday. Split over three floors and situated in peaceful private grounds, the property offers guests an unrivalled level of comfort, space and style. This remarkable house is situated on a south-facing plot of 24.168m2 offering fantastic Mediterranean Sea views as well as a mature and manicured garden. Split over two floors and situated in peaceful private grounds, the property offers guests an unrivalled level of comfort, space and lodge retreat style. 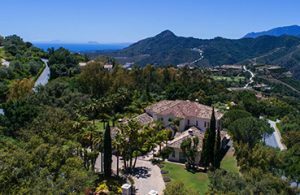 Situated 8 kilometres from the coast, and just a short drive from the bright lights of Marbella, guests can experience the tranquillity of the countryside. Our priority is to help our clients to plan their trips from A to Z, by organizing not just all the in-house services but also providing transportation and concierge services that will take care of everything to ensure them to have the most memorable time in the South of Spain, while offering them the opportunity to try out some of the most renown golf clubs in the world. Below we take a look at the most outstanding golf holes from first-class golf courses, all of them located in a magnificent area with luxury commodities. MMR offers the exceptional for your luxury golf holidays in Marbella. 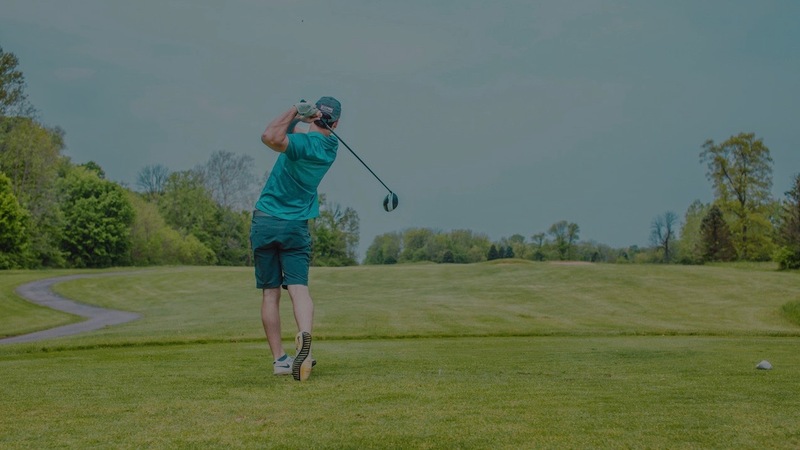 Our luxury travel and golf specialist are in charge to take care of our client’s most specific requests with our finest golf courses selection that suits all golfing requirements. Indifferently if you are a business person, a couple or a family looking to immerse themselves in the rich traditions of Andalusia or a larger group looking for a weekend getaway, in Marbella Mountain Resorts will help you to get the most of your holidays by helping you to find the Villa that suit you the most along with breathtaking sightseeing excursions and one-of-a-kind outdoor activities, as the there best golfing experiences to offer you a lifetime luxury golf experience. Even Golf courses in Spain are over a century, it’s only during the last two decades that Spain became the most exceptional golf destination in the world, when in 1997 Ryden Cup brought South Spain to the worlds attention by hosting the most prestigious golf event outside the UK and USA. 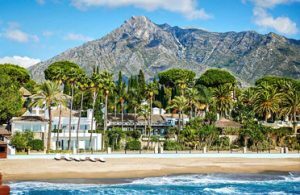 Since then, the Costa del Sol has started being much renewed for a great sunshine golf break combined with a strong cultural heritage, gastronomic offers, shopping in the most renewed boutiques and a lot more of things to do and visit. Nowadays, some of the best golf courses that are located in this area are responsible for the huge popularity of this area. A few examples would be: Valderrama, Finca Cortesin, La Reserva, La Cala, San Roque and much more. Ranked in the top 5 list golf courses in Spain, with more than 100 bunkers, this beautiful golf course has been designed with the most attractive environment with the perfect balance between the typical Mediterranean flora with an extremely perfect Bermuda grass on the course. 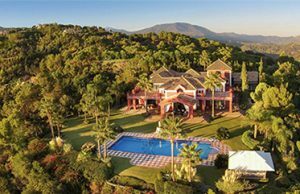 Beautifully located on a slope with birds with fabulous views of the Mediterranean Sea and hills of Andalusia, La Reserva was designed by Cabell B. Robinson and opened in 2003 and as quickly become a golf course of reference. Surrounded by wide streets that lead to the greens that represent an exciting challenge for golf enthusiasts. Being renewed as one of the finest golf resorts in Spain, this marvelous Club perfectly combines wonderful and natural surroundings with first class services that will help you to create your own experience. 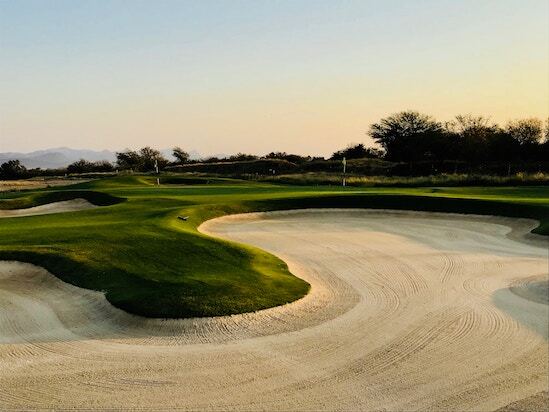 This idyllic place where each course is a perfect illustration of an exceptional golf course sets a relaxed atmosphere with a challenging game. Since the club opened its doors on 1991 it has quickly become one of Europa’s elite golf courses and always stands as one of the top 5 golf courses in Spain. It is located in an enviable scenery, The San Roque club is surrounded by mountains and an historic cork trees forest. It offers two different courses. The Old course ideal for all play levels is one of the mythical Spanish routes and time by time its becoming more exclusive for members. The new one, is a bit more technical than the old course. 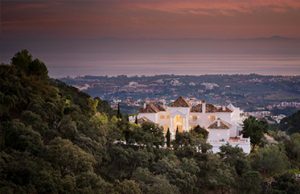 Cosmopolitan but yet traditional Andalusian style, Marbella is rich in culture and history. This, combined with a great location just 35 minutes from Malaga Airport just turns it into one of the most accessible holiday destinations for golfers from all Europe. Marbella together with Puerto Banús which is the trendy area located at the port, are the two most popular areas of Costa del Sol and a “big hit” with finest golf courses, all of them very well maintained and designed by some of the world leading names in Golf, including the outstanding Rio Real, Marbella golf and Los Naranjos. But not just because of it’s excellent golf courses that fulfill the requirements and requests of any golf player, but Marbella is one of the most attractive cities to visit on the Sunshine Coast offering vibrant nightlife, fabulous gastronomy, modern beachfront clubs, and shops with fanciest labels, making from Marbella the ideal destination to stay and play on your holidays that will please every taste. Located 3 km away from Marbella, this is one of the finest golf courses in Costa del Sol. This parkland boosted by a large tree mass of various species, offers spectacular views over the mountains and Mediterranean Sea in an private and intimate ideal setting to play golf either on foot as in golf cars. It opened it’s doors in 1965 by Javier Arana, considered as the best Spanish golf course designer. In this spectacular first class golf course, players just need to focus on their play and to enjoying a wonderful golfing experience in this 18 holes course, surrounded by waterfalls, Bermuda grass and beautiful bunkers strategically located that will exceed every golf player expectations. This first class club breathes a special and relaxed atmosphere which also turnes it into a fantastic and popular place for celebrating social events in its spectacular terrace. Los Naranjos are formed by two courses, very different one from the other, what really gives the impression to be playing in different fields. In the first part of the route, the streets are wide with large slopes with trees and water obstacles. The second part is much flatter with orange trees that give name to the golf course. 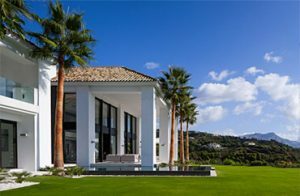 This impressive golf course is located in a gorgeous environment next to the Mediterranean Sea where you will enjoy the most advanced facilities and an extremely personalized service and attention to details, that will ensure you an unique golf experience in Marbella. This resort has three fields: Flamingos Golf, Alferini Golf and Tramores Golf. On top of that, you fill find the Villa Padierna Michael Campbell Golf Academy, which is the only school in Europe specialized in short game and personalized golf classes. With around 1,350 members from all over the world, this is one of the oldest and finest courses on the Costa del Sol which and has been renowned by the American, Robert Trent Jones, already considered as one of the best golf course designers in the world. The surroundings of Las Brisas are awe-inspiring. The course includes numerous water obstacles as there are ten artificial lakes fed by two streams. The architecture of the clubhouse surprises visitors because of its elegance and its integration with the botanic garden which was designed by the Englishman Gerald who managed to design a landscape that has a little bit of all continents with Mediterranean touches. This golf course is synonym of exclusivity, distinction and for sure one of the most important and beautiful courses of la Costa del Sol. Located in a very privilege e n v i r o n m e n t with absolute naturalness in design from where you can see the Sea of Alboran, Africa and Gibraltar. This course is not long but technical, where the risk is present in many of their holes. - Rio Real: This emblematic field course which is adapted to any kind of player was inaugurated in 1965 and has 18 holes par 72 of around 6,000 meters length, and is considered by the R o y a l Spanish Golf Federation as one of the best in Spain due to its route and unique beauty.